For my ICM midterms, I thought of things to make that would look cool but at the same time, represent me or at least the artistic side of me if there ever is one. I decided to make a season clock. I come from a country where the only sesons we have is hot and rain. Not much to choose from there so it always facinated me when I travelled when we encountered different seasons. It was only when I was working when I encountered fall and winter which always seemed the most interesting in photographs. Last year, my father and I went to Yosemite National Park, it was my first trip to the park and of course we brought along a 4×5 camera much like Ansel Adams did. We went there almost one year exactly to date and I took inspiration from these pictures that I shot while I was there. The whole park was practically yellow and yellow leaves were falling all around us the entire time. It was beautiful. I decided to make seasonal clock after this. Depending on the month on your computer, the season changes. For the fall, I made an approximation of yellow leaves falling. 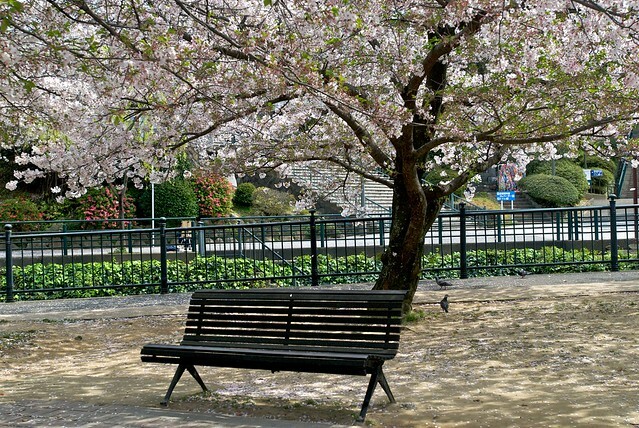 Winter is represented by snow and spring is shown in the form of cherry blossoms taken in reference from this photo. Taken at ground zero in Nagasaki. There is a lot of potential to add to the sketch by adding Christimas lights between Thanksgiving and January, Halloween decorations for October and so on. You can see the seasons change by changing the internal clock of your computer. Note: seasons are based on the Northern Hemesphere. ABS-CBN is the largest broadcasting network in the Philppines with a long history attached to it. It is the 2nd TV station to open is Asia following the NHK in Japan. It was originally known as Bolinao Electronics Corporation which was built by James Lindenberg. BEC was renamed Alto Broadcasting System when Antonio Quirino, brother of then President Elpidio Qurino who used mass media (radio/television) to get his brother re-elected. In 1956, publishing giant Chronicle Broadcasting Network, owned by business scion Don Eugenio Lopez, Sr. purchased ABS from Lindenberg and Quirino to form ABS-CBN Broadcasting Corporation. The logo composed of malayan styled letters for the letters ABS and CBN. The three rings represent the 3 large islands of the Philippines signifying the coverage of the network enclosed in a square box which represents fair and balanced programming. The arrangement of the rings and the rectangle is formed in the shape of a broadcasting tower. When color TV was introduced in the 60s, the primary colors for transmission were used to add color to the rings. In 1972, the station and all it’s subsidiaries were shut down upon the declaration of Martial Law and did not re-open until after the 1986 EDSA revolution where the original owners who were forced into exile returned and reclaimed their station. The pre-martial law logo was used until the end of 1999. In 2000, a coorporate decision was made into re-designing the logo to meet the current demands. ABS-CBN is no longer a radio and television network, but now has other mediums such as the web, magazine publishing, motion picture studio and international distribution among it’s business. The logo was designed in-house. The new logo did not deviate much from the original logo as it had to still look like ABS-CBN. The typography was modified into a modern malayan style from the original and moving all entire wording at the bottom to firmly represent the company name. The square box no longer surrounded the logo as it did before but is what is considered “outside” but remains in the logo. 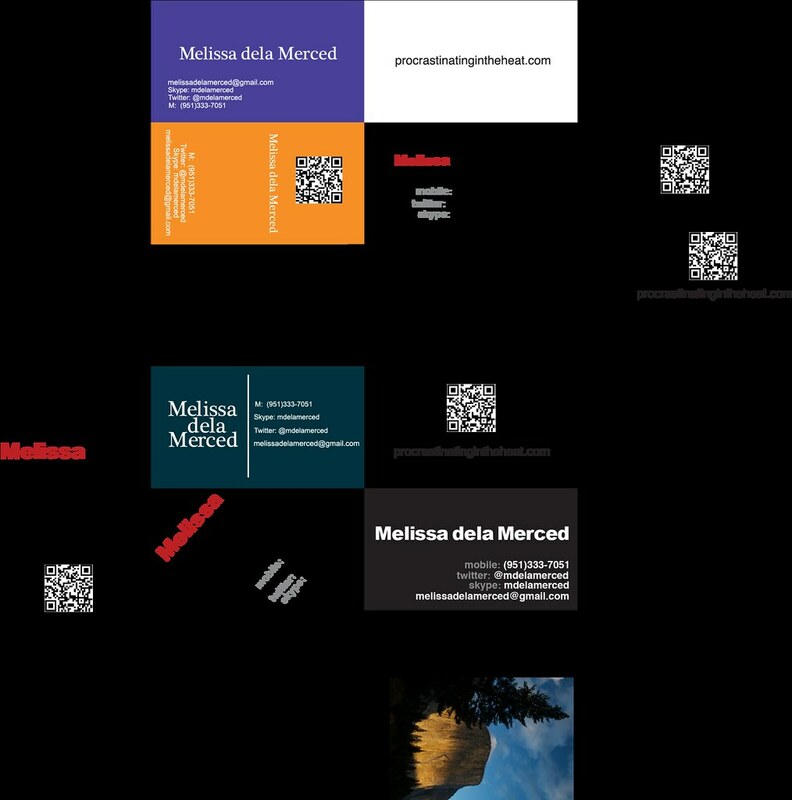 The logo sits well in a vertical and a horizontal format depending on the requirements as well as light and dark backgrounds. Any additions and modifactions are simply added below. 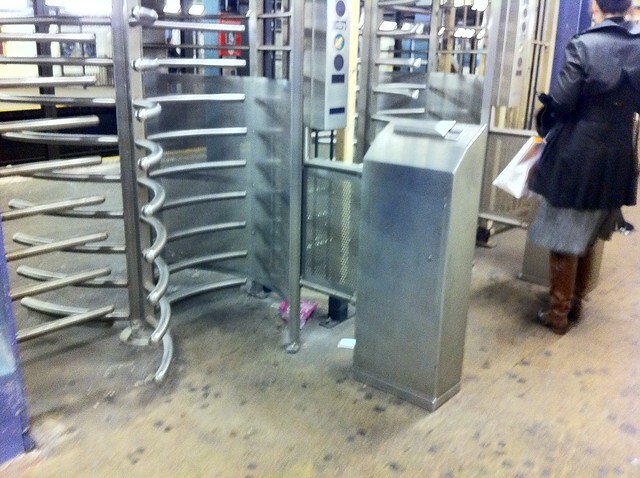 Why you should not jump the turnstile. One the first things they tell you as a foreign graduate student in New York is that you shouldn’t jump the subway turnstiles and I’ll tell you why. Sadly, the New York subway is my current form of transportation to the city and therefore have had lots of experience with it despite only having lived in the city a little over two months. I first rode the New York city subway in 1994 when I first came here. Back then it was powered by tokens. They were easy, just pop them in and enter. No need to get a confiramation that you paid your fare. 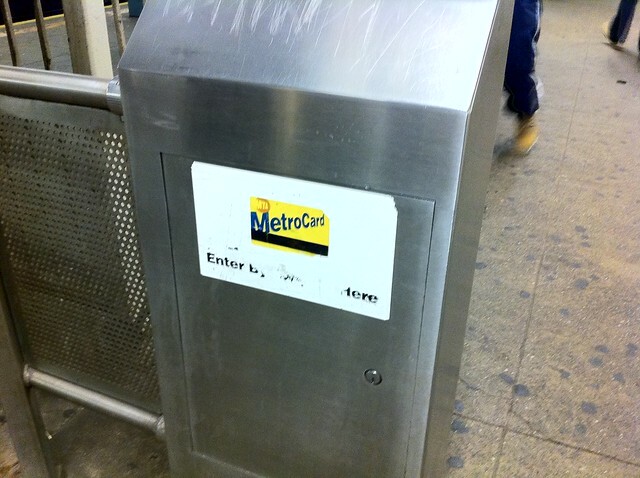 When I came back in 2002, metrocards have been introduced and it took my father a bit to figure out how it worked. There wasn’t any indicator on what direction we were supposed to swipe it in until a stranger got the card the swiped it for us. Whew! In my station, there are two ways to get to the Manhattan bound trains. One is through a regular turnstile and the other is through the more secure rotating type door that you can’t hop over. I’ve noticed that regular commuters, when faced with urgency (like the train is on the platform) will make a dash for the first vacant entrance they see. For months I used the rotating door turnstile and not the regular turnstile though it seemed faster. 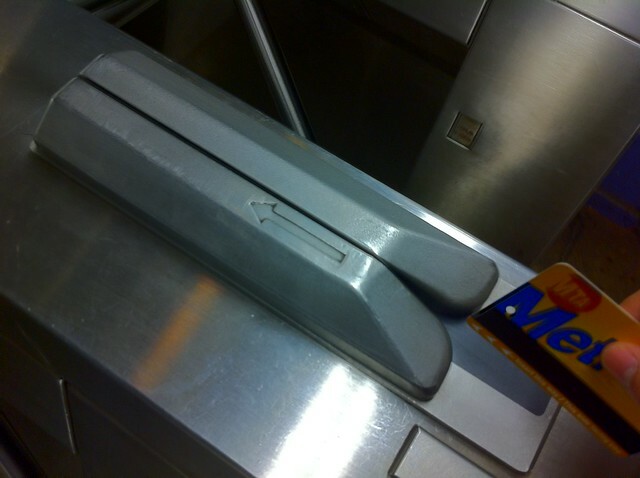 People would swipe their metrocard on the sensors which are a pain for me sometimes towards the end of the month when for some reason the sensor would not recognize my card which is annoying. There are those who will swipe their card twice and they’ll get in. But usally if it hits 3 times, you can’t use the card at that entrance anymore which is a pain. With the exception of families with strollers, I’d say that most people use both entrances equally. People would go to the first available one or the easiest to access. Much like electricity, they head to the path of least resistance. Those with children would gravitate to the much easier traditional turnstyles compared to the swivel type. Of course those without a ticket, will jump over the turnstyles unbeknownst to them of the plain clothes policeman who is known to linger in the station from time to time. More often than not, most users would not look at the indicator to pass unless they couldn’t. Those with stored value cards would occasionally look at the amount remaining on the card while others will just run by. It’s actually interesting to watch people handle the subway metrocard shuffle. 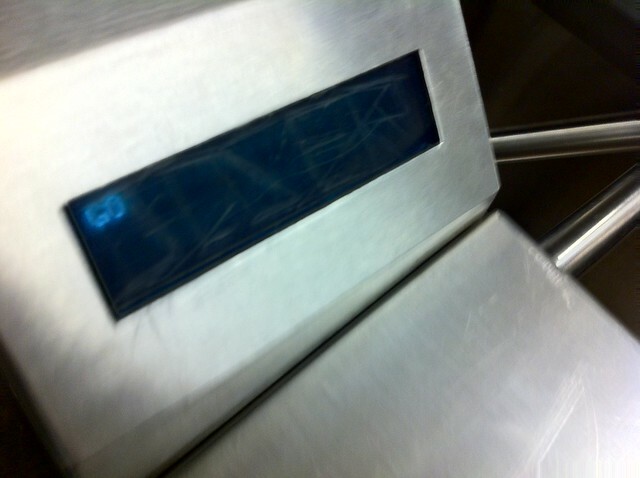 I’m more used to the RFID card type of transportation and I asked a friend to send me pictures from Singapore about their underground system. Using whatt they call an EZlink card, they use it for a variety of items such as paying for public transportation (including taxis), toll fare, and even buying stuff from 7-11. The method of using the card is effortless. Just tapping the card om the sensor and off you go. II wonder when New York will catch on to this? There’s always something interesting when programming a microcontroller and the instructions don’t exactly tell you when to switch from one program to another. It was quite challenging at first but just read carefully between the lines, it’s all there. This reminds me of the first word that was on the original Macintosh in 1984.